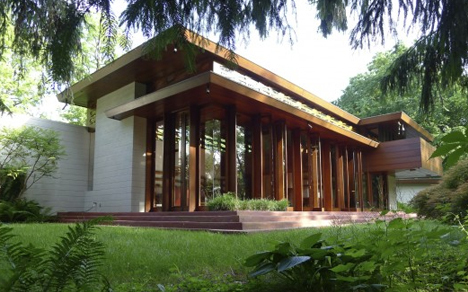 This year alone we have learned that a Frank Lloyd Wright house must be moved 1,000 miles to protect it from floodwater, a Le Corbusier chapel has been vandalized and a seminal structure by Micheal Graves may be razed. In a remarkable turnaround, the MoMA has also recently decided to save the entire facade of the American Folk Art Museum, but by dismantling and storing it indefinitely. There is nothing like the threat of utter annihilation to make one wonder: how do we choose what building we preserve, restore and ultimately save? Here are five hot-button buildings generating serious buzz, raising questions both within and beyond the architectural design community. 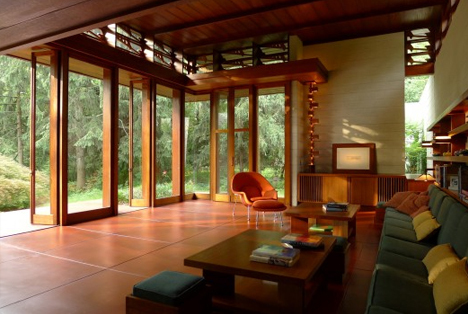 First to Frank Lloyd Wright, whose work invariably makes headlines whenever it is at risk of destruction. 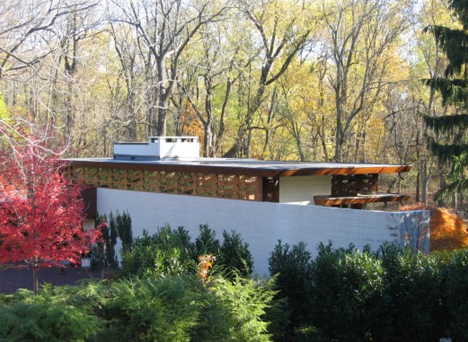 Thanks to the intervention of the Crystal Bridges Museum (images by Tarantino Studio) in Arkansas, the Bachman Wilson House will be transported from its original location in New Jersey to a site on their campus. Its owners, Lawrence and Sharon Tarantino, put it on the market hoping for just such a buyer and after spending years restoring the home themselves. This remarkable move will save the structure itself by carefully deconstructing it, transporting its parts then rebuilding piece by piece in a new place. However, the process is inevitably partial and one has to wonder: how will relocating it change the nature of a home designed around a specific site many states away? Is regional architecture truly as portable as this solution implies, and what does it lose forever when taken out of its context? 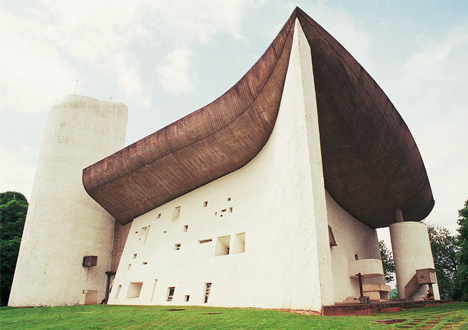 An unusual work by one of the world’s most famous architects, the Chapel of Ronchamp by Le Corbusier was reported vandalized earlier. 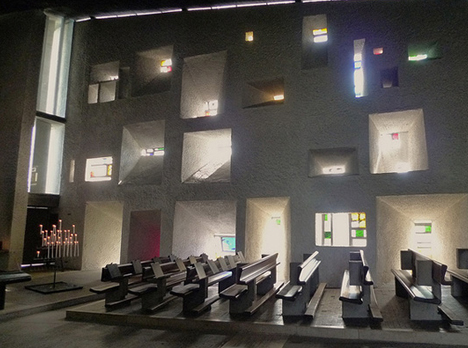 Amid other damage and theft, the destruction of stained glass window drawn (and reportedly signed) by Corbu himself was deemed a “priceless” loss, the colored glazing irreparable. The building is a destination for tens of thousands of annual tourists. 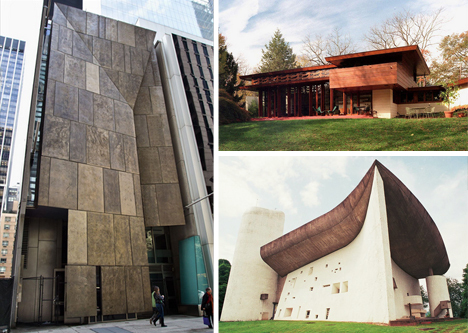 Its sculptural form reflects the architect’s philosophy that while Modernism may be appropriate for most architecture, spiritual structures are an exception. The shocking break-in leaves open questions: how does one replace an irreplaceable window – with a copy of the original, something commemorating its loss or a new work entirely? And how does one protect against future defacement, particularly in a structure so often open to the public?